This week we received our first Christmas card. It always comes from the same family friend and is one of those things that lets us know Christmas is here. It’s glittery (or flittery as we say in the card market), plain but very effective. I do look at every card we receive, not just the first Christmas card, quite critically as I sell Christmas cards! Every Christmas card that comes through our letterbox gets a good look over. Because I sell Christmas cards that are exclusively designed I am always on the look out for other cards of a similar appeal. Phoenix Trading asks us to submit Christmas cards each January in to a sort of competition to see who else is making popular or attractive designs. Therefore I am always on the look out for extra special cards (that obviously aren’t Phoenix ones!) to submit. Are they charity Christmas cards? 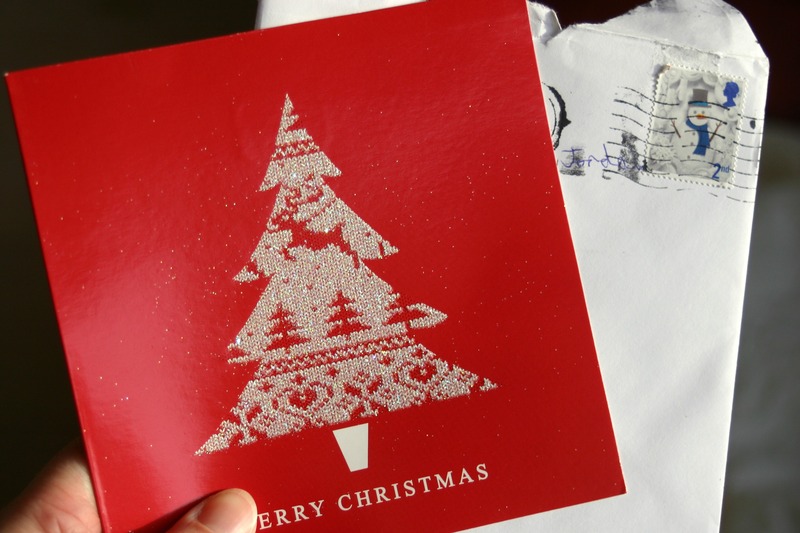 Nearly every Christmas card that we receive is a charity card, but not all. I know some people just buy cheap cards then make a donation to a charity instead, I get that. However, if the card doesn’t say it’s a Christmas card then it does leave the impression that the sender just bought the cheapest pack of cards they could find because they felt they ought to send a card. Perhaps that’s just very judgemental on my part but that’s the impression I get that’s all. Personally I think every Christmas card could be a charity card, even some charity cards can be pretty cheap these days so there really is no excuse. Most of our Christmas cards will end up hanging on a string in our hallway for everyone who visits to see. However a really special card may well get pride of place on the mantelpiece – but only if it can actually stand up! How many cheap, thin Christmas cards there are that come through the door that cannot stand without being sellotaped, glued or blu-tacked to the surface?! I choose the cards I send making sure they look good, do good and are good quality. How do you choose yours?